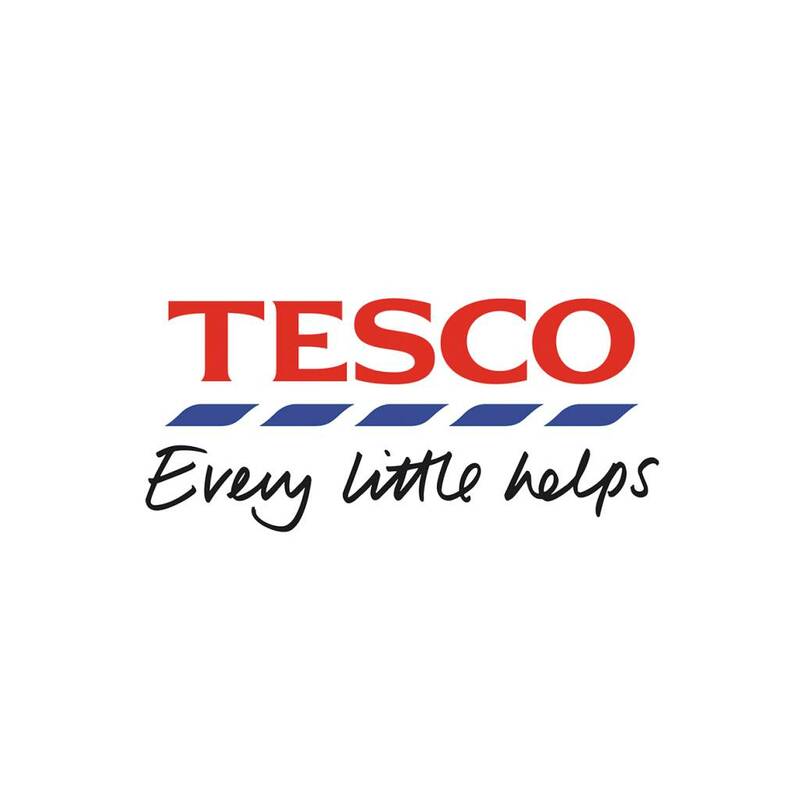 Buy Tesco buildings and contents insurance, use code HOM18 for 2,500 clubcard points worth £25 or boost to £75 in rewards at their reward partners. I got a quote for £156 for the year on a £100 excess policy , and if Top Cashback pays I'll get another £36.75 on top of that! What actually is the deal please? That’s not a bad deal at all, tesco came in near the cheapest for me so I’ll probably go with them now. When does it expire? Yeah to many what's ifs and buts on this post. TCB saga up to £105 for over 50's. How much is Tesco premium? That’s not a bad deal at all, tesco came in near the cheapest for me so I …That’s not a bad deal at all, tesco came in near the cheapest for me so I’ll probably go with them now. When does it expire? For you maybe but you need to share what you would be paying so we all can compare. Let me start halifax £17.77 a month with £50 CB that's contents and buildings with a few add ons. That's also with 1 claim as well. I don’t need to share, I said they came in cheaper for me so this just makes it better. Got this deal last year, but cashback was rejected by Quidco. Try Aviva instead as it’s real insurance and don’t resell someone else services like Tesco does! Who cares about points, when I care about protection / insurance of my house! 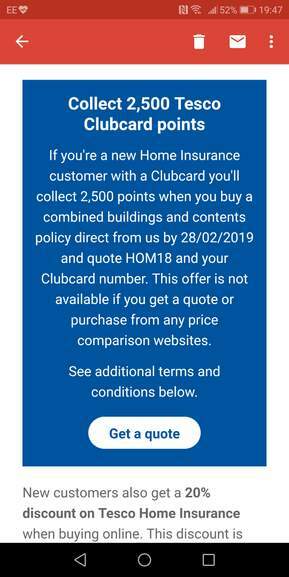 Try Aviva instead as it’s real insurance and don’t resell someone else ser …Try Aviva instead as it’s real insurance and don’t resell someone else services like Tesco does!Who cares about points, when I care about protection / insurance of my house! Haha, some reviews are fake, $700 per month for insurance I don’t think in UK companies allowed to trade in other currencies except British Pound! Haha, some reviews are fake, $700 per month for insurance I don’t think in …Haha, some reviews are fake, $700 per month for insurance I don’t think in UK companies allowed to trade in other currencies except British Pound! Maybe some are but I thought everyone knew that aviva are a terrible insurer so my point is still valid. Hopefully, you wont find out the hard way in the event of a high claim. I just bought buildings and contents cover from them as a new customer. I went through Quidco and used the HOM18 code - it was accepted. I've not got any notification email from Quidco and the extra points are not showing in my clubcard account. You really thought the Clubcard points would be added instantly..
Voucher posting newbie! This is P8UL first voucher post. Help out by leaving a posting tip or just to show your appreciation for their contribution.